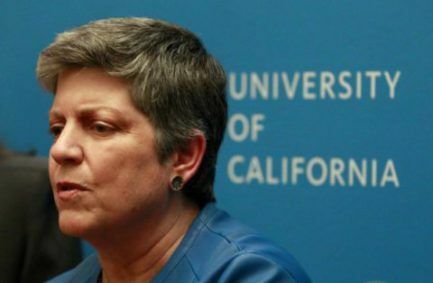 Last week, University of California President Janet Napolitano (pictured) and UC regents generated positive headlines with their decision to reduce tuition for in-state students – the first cut since 1999-2000 – as well as their success in getting a 4 percent funding hike from the state Legislature and Gov. Jerry Brown. The announcement that total annual in-state charges would drop from $12,630 to $12,370 – a 0.5 percent reduction – was framed as reflecting both UC’s relative fiscal health and a truce between UC leaders and UC student activists. Nevertheless, the UC system continues to have a murky financial future, with billions in unmet infrastructure needs and underfunded pension liabilities. And while some past UC presidents worked hard to establish strong relationships with other state leaders, Napolitano appears to have relatively few allies in the state Capitol, with many lawmakers still upset with the former Arizona governor over her office’s interference with an audit the Legislature had ordered. As for the governor, he has complained for years that UC is too quick to seek higher state aid or higher tuition and has never engaged in meaningful belt-tightening. Against this backdrop, chances for a major increase in state funding seems a long shot – though that may change with a new governor in January. Yet the need for such increased aid – or the billions that could be raised with future tuition hikes – is plain, many UC leaders believe. In January, UC Berkeley Chancellor Carol Christ made a presentation to regents that amounted to a plea for much more funding. Christ said her campus had a $700 million backlog of needed maintenance alone. 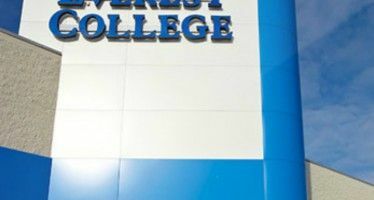 The San Francisco Chronicle reported that every campus except for recently opened UC Merced had at least $100 million in maintenance needs, topped by Berkeley, followed by UCLA at $677 million. 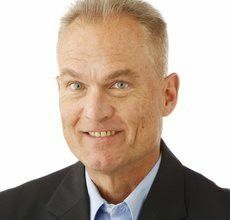 But Christ and other UC leaders face an even more daunting challenge in paying for pensions, especially given the coming wave of retirements in UC’s aging workforce. That’s because UC’s estimated $15 billion in unfunded pension liabilities is far bigger than it would have been were it not for the decision of UC officials to contribute nothing to the pension fund from 1990 to 2010. UC’s pension system has more than 80 percent in projected funding for its long-term liabilities and is in significantly better shape than CalPERS or CalSTRS. Nonetheless, a September analysis by the Los Angeles Times noted how the 20-year pension payment holiday had backfired on UC. The analysis detailed how the steadily growing cost of retirement benefits was reducing funds available for “core fund” basic expenses. As of 2016, more than 5,400 retirees from the UC system made pensions of $100,000 or more. Under pressure from the Brown administration, Napolitano’s office has taken some actions to rein in pension costs. UC employees hired beginning in July 2016 have a cap on how much of their final pay can be used to determine pensions. Earlier this year, regents also approved a plan to allow new hires to choose between having a defined-benefit pension or a 401(k)-style account. 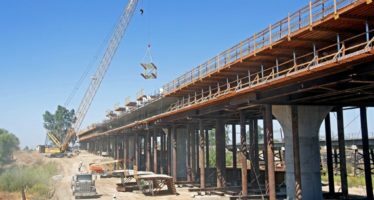 But the plan’s fate is unclear after it faced strong objections from Assemblyman Kevin McCarty, D-Sacramento, and government unions. The University knew there was a problem but did not want to inform the members and restart contributions. Stupid stupid stupid. The University knew there was a problem but did not want to inform the members and restart contributions because they thought the staff would want salary increases to compensate. Stupid stupid stupid. Time to privatize these universities and get them off the public teat. They have shown themselves to be incompetent at managing the people’s tax monies efficiently. With the exception of some of the scientific research done at a handful of public universities, all we get from these leftist, Marxist drone factories are poorly educated, socialist indoctrinated, sissy snowflake drones unfit to find a productive career in society. A terrible waste of money to send your kids to these educational sewers only to have them come home with their minds poisoned with an elitist sense of privilege and entitlement and ending up living in your basement forever. If Calif education so good at University level, why are hundreds of thousands of foreigners employed in No. Calif. tech slaver shops?